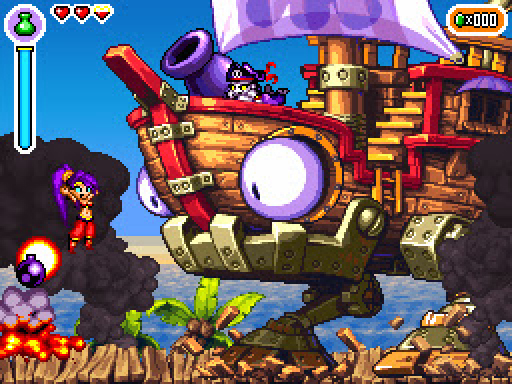 Shantae: Risky’s Revenge sets the bar even higher with thousands of frames of animation, huge multi-sprite bosses and a quest so big it’s bursting at the seams. 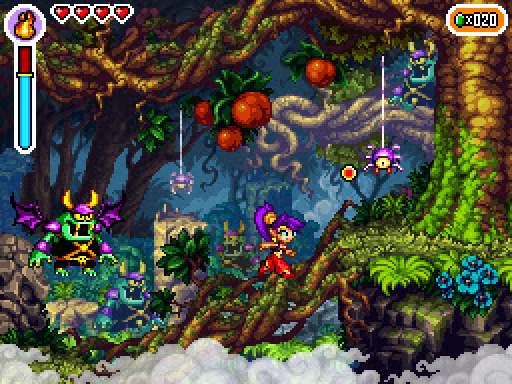 Guide “half-genie” Shantae through haunted wastelands, burning deserts, enchanted forests, dripping caverns and deadly labyrinths. 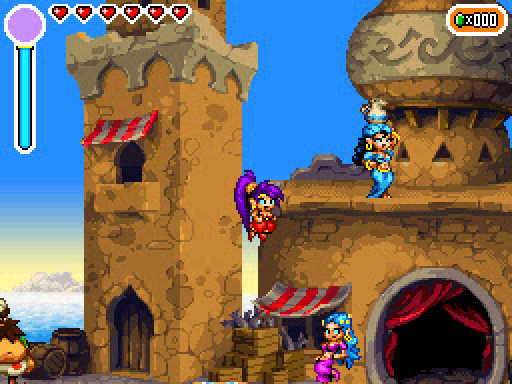 Discover magical attacks, brew zombie coffee, save golden babies and master the art of belly dancing to transform Shantae into more powerful creatures. Use your powers to foil the lady pirate Risky Boots and save Sequin Land from certain doom. 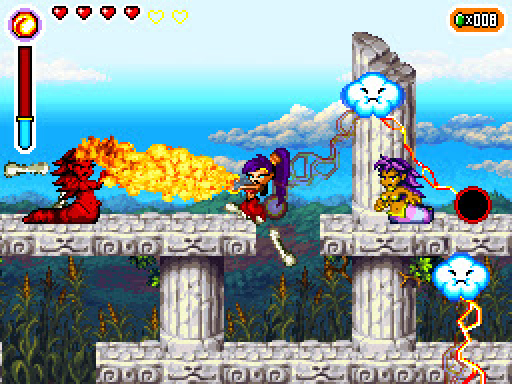 With its infectious characters, flirtatious humor and deliciously outlandish action, Shantae: Risky’s Revenge offers up all the hair-whipping, belly-dancing action you can handle. *© 2014 WayForward Technologies. Shantae and the Shantae logo ™ Matt Bozon. Adventure Time: Hey Ice King! Why’d You Steal Our Garbage?! Mighty Switch Force! Hose it Down!